Welcome to the school IPM Cost Calculator website. Does your school face challenges from pests like rodents, birds, cockroaches, or ants? This site features a pioneering planning tool for use by maintenance professionals who oversee pest control programs. The site was developed by the Southwest Technical Resource Center for School IPM and cooperating states with financial support from the U.S. Department of Agriculture’s Southern Region IPM program. Vist the Integrated Pest Management (IPM) website to learn more about IPM. What is the IPM Cost Calculator? The cost calculator is a free tool that allows you to assess pest risks for your school or district, and give you the resources and insight you need to develop your own budget for a school integrated pest management (IPM) program. By entering information about the location, presence of pests and the condition of your school, the calculator calculates an estimate of overall pest risk for your school. In addition, the calculator has features that will allow you create your own budget and see how improving certain features will affect the overall pest risk. In addition, the IPM Cost Calculator is a teaching tool that can provide insight into many of the aspects of building maintenance that can impact pest issues in school buildings. For more information on how the cost calculator works, see "How does it work?" below. 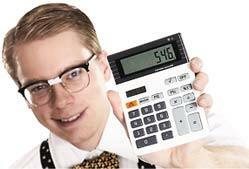 Besides its educational value, the calculator can analyze how well your pest control program is working. The calculator allows you to see the impact of different budget plans on pest risk. In the same way that investors use spreadsheets to study the impact of different investment strategies, pest management coordinators can use the calculator to maximize the impact of limited budgets, or even justify requests for budget increases. After registering, you will fill out a form asking you a series of detailed questions about the school you wish to analyze. If you are unsure of an answer, you can save your data at any time and complete the form later. Once you have saved the data for a school, the school will be listed at the beginning of your School Information page. To update or view previously entered data, simply click on the blue-highlighted name of the school. You can then review, make changes and see calculator results for that school. Your data will be saved for you online to come back and make changes year after year. For more information on your privacy and how your information may be used contact schoolipm@tamu.edu.